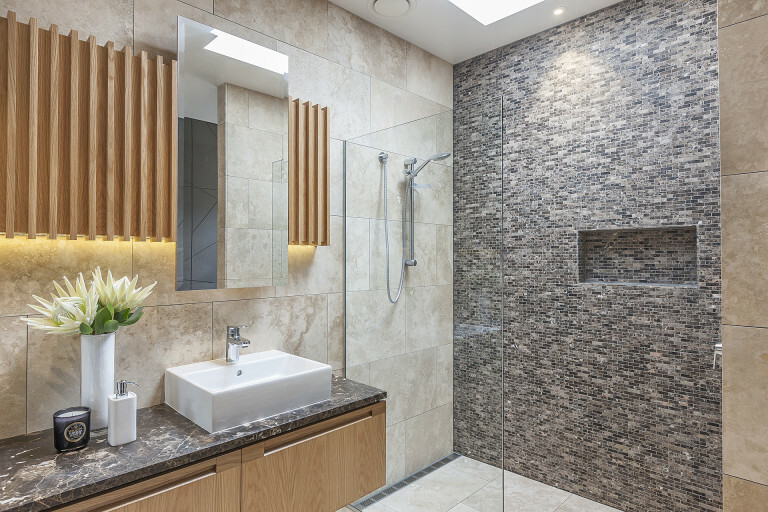 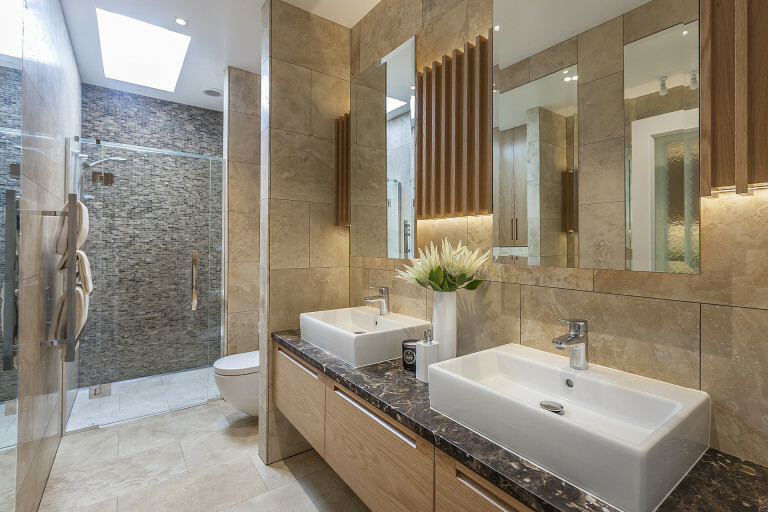 This bathroom uses multiple textures and materials to deliver a visually tactile environment. 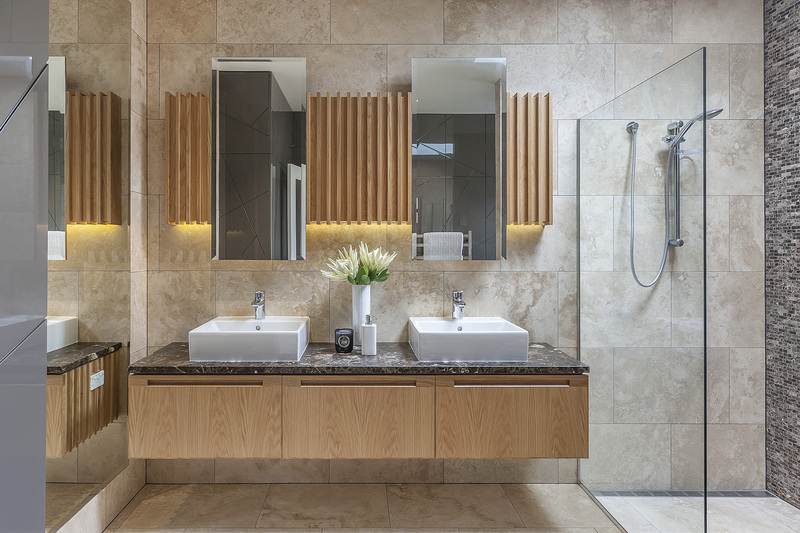 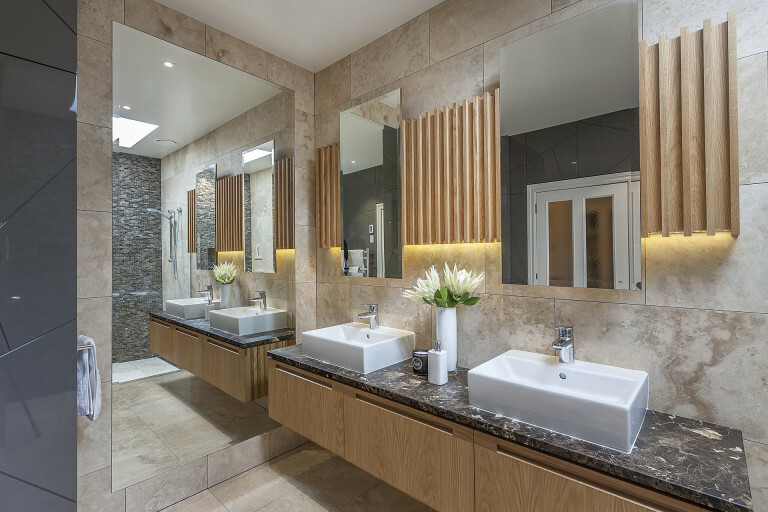 Form Design custom made the entire cabinetry, encompassing the solid oak batten detail planted on to oak veneer supporting bevel-edge mirrors. 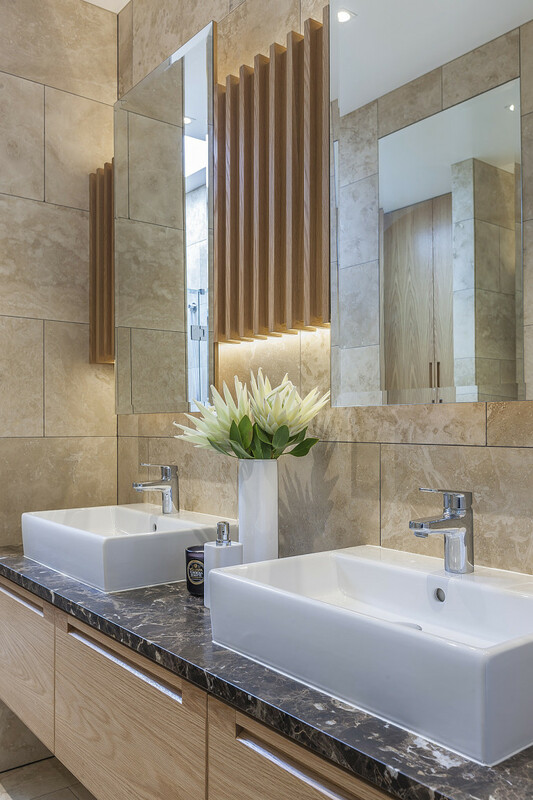 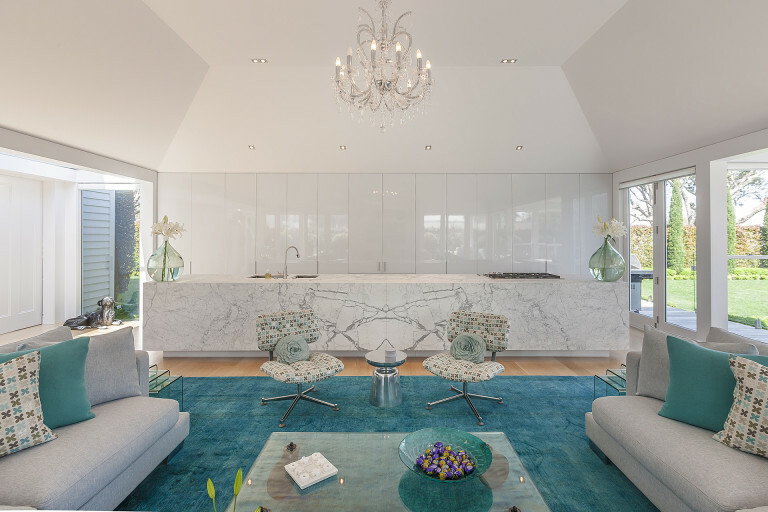 These are backed onto Travertine limestone tiles with strip lighting to the marble benchtop below. 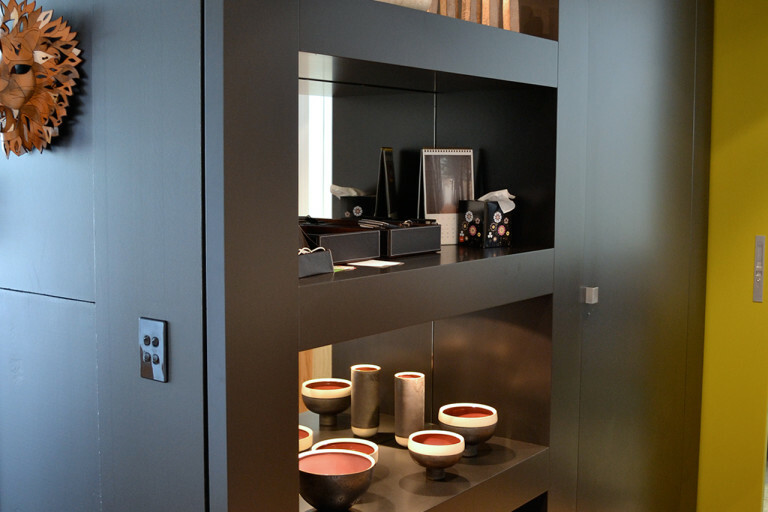 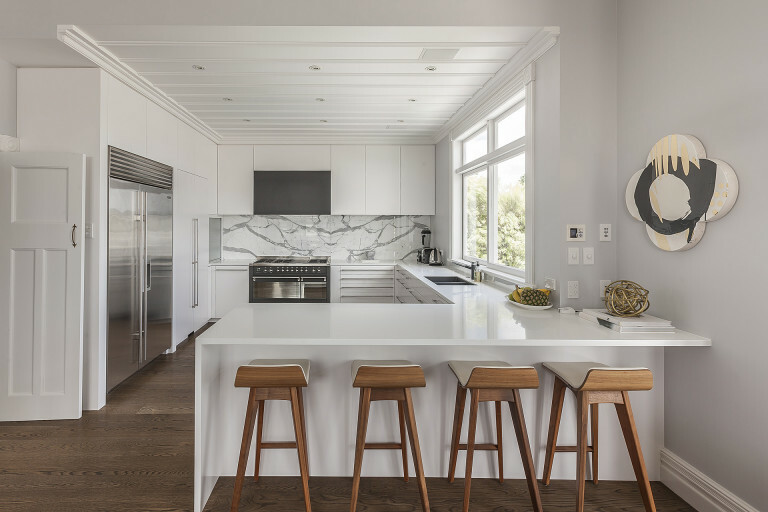 Clever project planning saw the cabinetry installed on steel brackets recessed underneath the units so that they were completely floating. 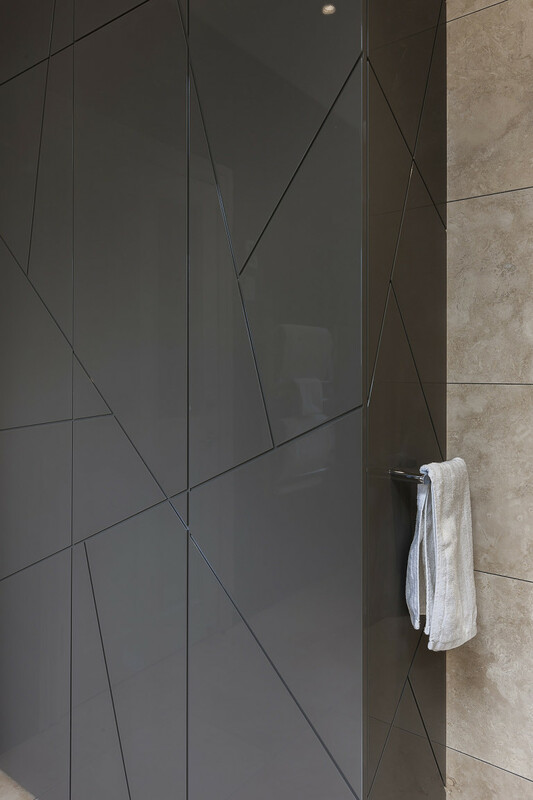 On the sidewall, full sized mirrors are rebated into the tiles next to panels with negative detail strips routered in to them for further tactility.